Its no myth that certain stains are much tougher to deal with than others. It’s all to do with what they are made up of. 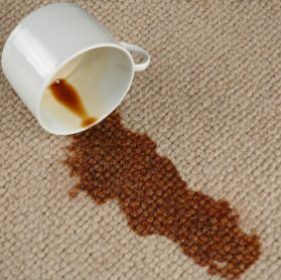 Stains can be broken down into 4 main groups and here we will break down exactly how to deal with all these stains. These are stains made by substances such as butter, hand lotion or mousse. These stains are usually pretty hard to see, but will leave a grey patch on a white cloth. The best way to deal with these allusive stains is to first dab the excess off with an absorbent cloth. Then, mix 60ml of oxi Action gel with 4l of warm water. Soak for 1hr with colours and 6hrs with whites. Then, place 60ml pod in washing machine and wash with detergent. Children are obviously the most prone to these stains. The first and most important thing to do is to wait for it to dry and then scrape off the excess. Dissolve one scoop of Oxi action power in 4l of warm water and soak the item for 1hr or 6hrs for whites. Then wash as usual with detergent and another scoop of Oxi action powder. These stains go through reactions that reduce oxidation. Known as redox reactions. They absorb light as they have lost an electron, so the best thing to do is oxidise the stain; that is, to add more electrons. The best product to do this with is bleach; specifically chlorine bleach. Just be careful of how much you use.